Mechbay Online Tool – Plan and Share all Your Builds for Free! A guy named Smurfynet made a stats look-up site which automatically generates the data from the game files. In this way it is accurate at all times. However, the most excellent feature of the page is a mechbay simulator. It works exactly like the current mechbay in the game and allows you to plan and experiment with builds. If you register for the site you will also be allowed to store mech setups in your personal online mechbay. 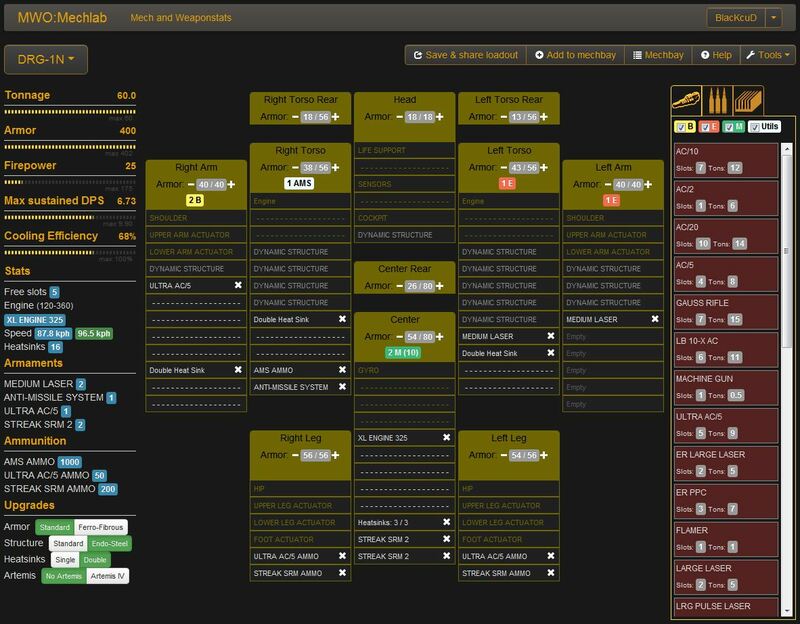 Link to the free online mechbay tool – Click here!